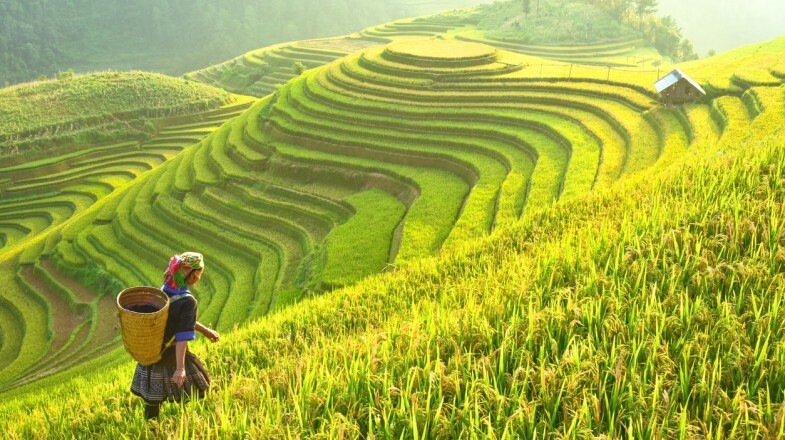 From vast, sprawling cities to ancient temples (with delicious food and stunning scenery in between), Asia is one of the most diverse and captivating continents on Earth. With relatively low visiting costs and an ever-expanding tourism infrastructure, Asia is continually growing in popularity as a hot-spot destination for travellers from around the world. While some Asian countries have many similarities, each has its own unique culture and charm! With so many cities to choose from - whether you’re a nature-lover or are trying to tick off as many temples as you can - it can be hard to decide where in Asia to visit next. From Bangkok to Bhutan and everywhere in between, here are some of the best places to travel in Asia right now in no particular order. 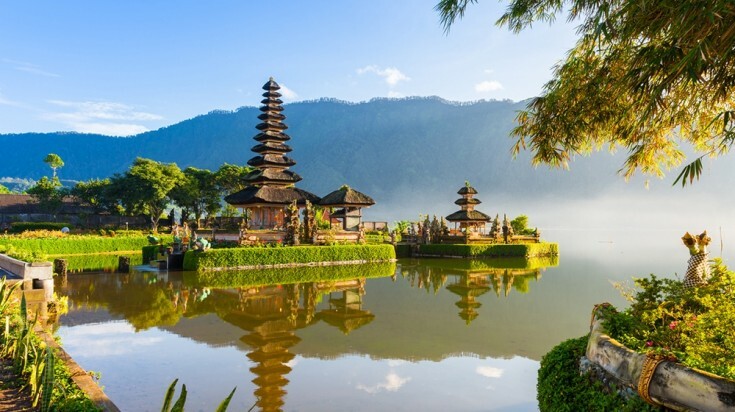 The Indonesian island of Bali is all the rage right now among digital nomads, young backpackers, families and couples looking for a bit of romance. With white sandy beaches and many luxurious resorts, it’s the perfect destination for those seeking a little Asian getaway. For those who enjoy a slightly more active holiday, there’s also plenty of fantastic hiking trails along with some of the world’s best diving spots. Or, if history and culture are more your thing, the island’s mixed Buddhist and Hindu history means it has striking temples around nearly every corner. Why go: Bali is an absolute tropical paradise - it’s like stepping into a postcard! Bali has everything from hiking trails to ancient temples but it is best known for its beaches. If you think about the Maldives, a common picture comes to mind: gorgeous thatched-roof huts standing on stilts above crystal clear, turquoise waters. 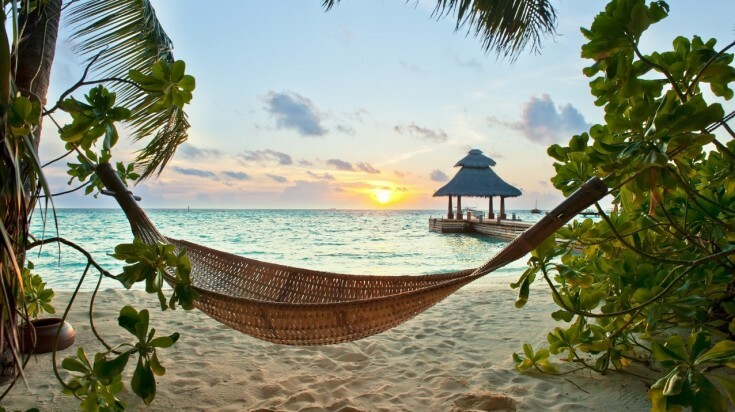 The Maldives is a honeymooners’ paradise and the ultimate romantic destination in Asia. Banana Reef, near the North Male Atoll islands, is the best scuba diving spot in the entire archipelago, with vibrantly multi-coloured coral and an abundance of marine life. You might even spot some reef sharks and barracudas here! Maldives is emerging as the ultimate honeymooers' destination in Asia. Myanmar (also known as Burma) is probably best known for its mountainous landscape, gilded pagodas and many hot air balloons. What you might not know, however, is that the country is also home to some beautiful beaches. 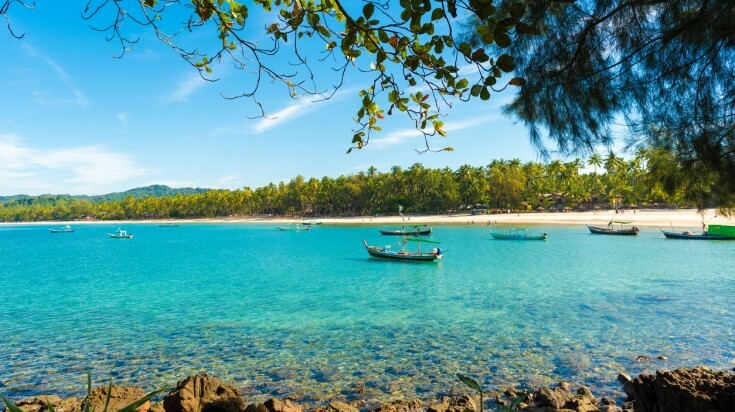 Ngapali Beach is arguably the best Myanmar has to offer, with crystal clear waters, clean white sand and palm trees as far as the eye can see. Even with tourism to the area becoming more popular, this Asian destination has maintained much of its small-fishing-village vibe, peaceful and tranquil without any of the noisy bars and crowds you’ll find on other Asian beaches. Why go: Ngapali Beach is the ideal destination for a little bit of R&R without any distractions. Unlike most beaches in Asia, Ngapali is peaceful without any of the noisy-touristy bars. When you think of paradise, do you picture white sandy beaches? A bright blue sea? Palm trees towering over you as you sit back, relax and enjoy the sunshine? 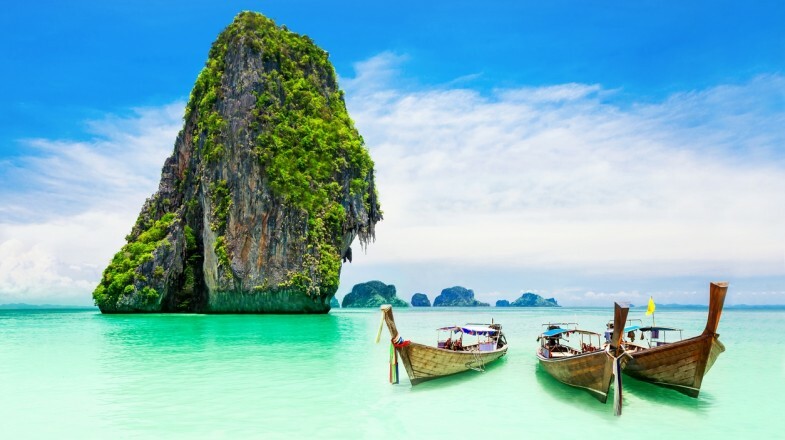 If so, the Andaman and Nicobar Islands, a stunning union territory in India, needs to take the place at the top of your bucket list… immediately! There are 572 islands in total, but only about 38 of them are permanently inhabited, each with gorgeous beaches, diverse marine life, mangroves and tropical rainforests - everything you need to enjoy some tropical nature. Insider’s tip: These islands have some incredible marine life. If you want to see local tortoises, visit during their nesting season between December and March. For beach goers, there are 572 islands to be discovered here. Koh Samet is a picture-perfect island just off the coast of mainland Thailand, featuring rows upon rows of ‘Samet’ (cajeput trees), long sandy beaches, and plenty of crystal clear bays. The island gets less rainfall than anywhere else in Thailand and is sunny nearly year-round, making it the perfect destination for water sports, beach lounging and nights spent in cliffside bungalows. The island is also known for its booming nightlife, so be sure to bring your dancing shoes! 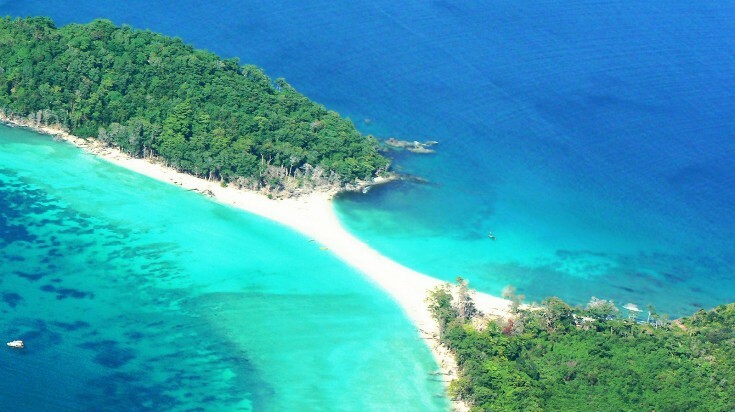 Why go: Koh Samet has some of the most gorgeous beaches in all of Asia. Best season: November to April - Avoid the (somewhat) rainy season and enjoy as much sun as you can! Insider’s tip: If you want to avoid the crowds, head south. The further south you go, the more undeveloped the island is - meaning beautiful but uncrowded beaches! 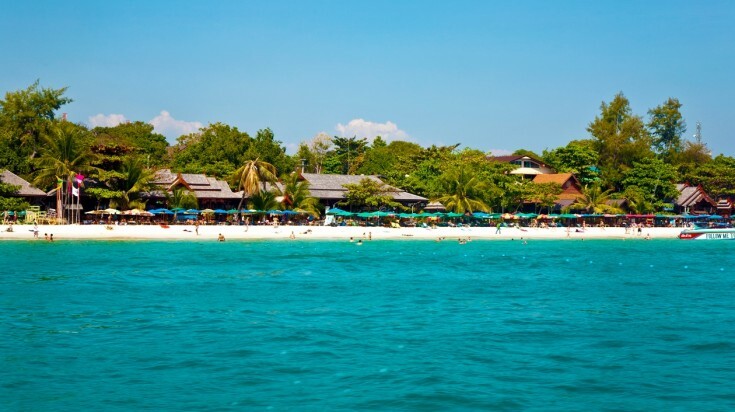 Accompanied by favorable weather and an interesting beach-vibe, Koh Samet is where to head when in Thailand. This tiny little island in Philippines is one of Asia’s most up-and-coming destinations. Boracay is small enough that it can easily be explored on foot, travelling from one coast to the other in just a couple of hours. To the west you’ll find palm-tree-lined sandy beaches with plenty of space to sprawl out and catch some sun. The eastern side is where you’ll find water sports and other activities, along with an observation deck that offers some stunning panoramic views. 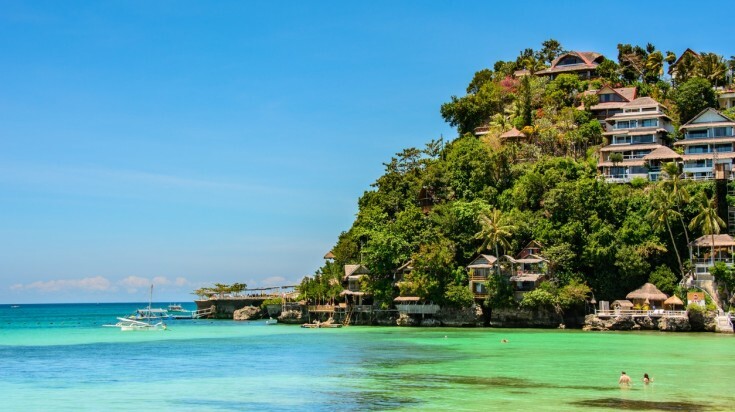 Why go: Boracay is a true tropical paradise that you’ll never, ever want to leave. Insider’s tip: There are many beaches on Boracay - from the romantic and secluded to those bustling with nightlife - so take your time finding one that best suits you. The tiny island of Philippines is one of the top upcoming destinations in Asia. 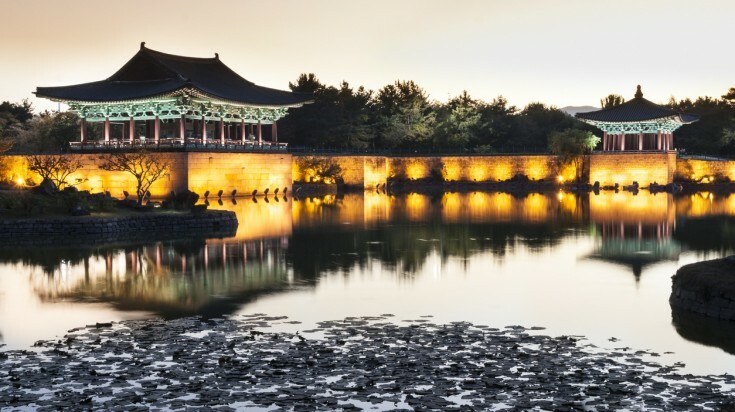 If you’re looking for a destination that perfectly merges the old and the new, South Korea’s capital should be at the top of your list. Much like the yin and yang symbol on its country’s flag, Seoul is a smooth blend of contradictions. Its shopping districts stretch for miles and miles, with hot nightclubs in between. When you want to indulge in some of the country’s history, however, old Seoul is just a few paces away. You could spend hours touring the city’s five large palaces from the Joseon Dynasty before hopping over to Bukchon Village to see some of the city’s more traditional wooden homes. 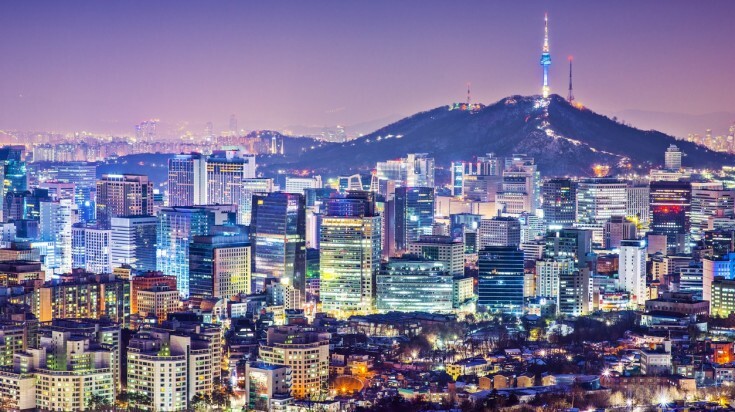 Seoul is a destination that perfectly merges the old and the new. 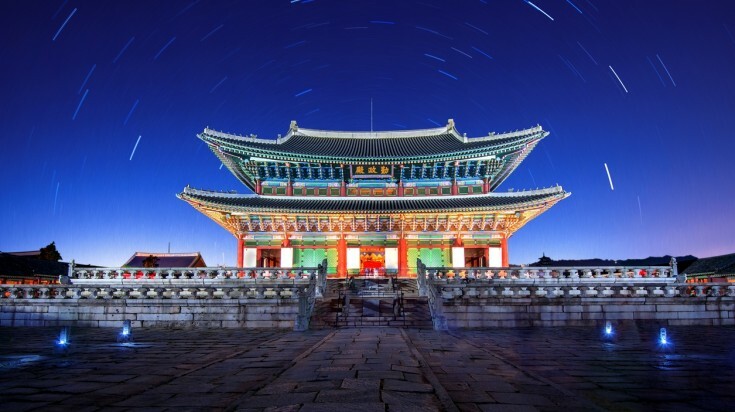 The Gyeongbokgung Palace is the largest palace built by the Joseon dynasty. 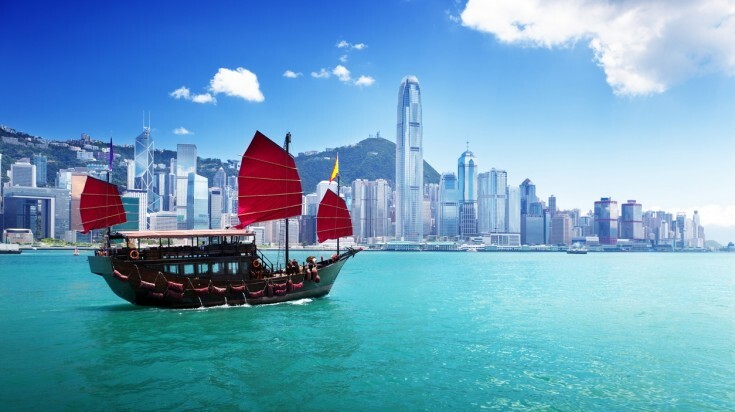 Not quite China and not quite British, Hong Kong is a very distinct part of Asia that is well worth a visit. Hong Kong was a British territory up until 1997, when it was returned to China but granted autonomous rule. You will certainly find traces of both influences in this territory, with the unique blend giving it a culture all of its own. Hong Kong offers its visitors a winning combo: sprawling, vibrant metropolis combined with sandy beaches and plenty of fresh air. There are also some great museums, offering up everything from science and art to local heritage and history, and plenty of bustling street markets to wander. Why go: Hong Kong blends its complicated history with the finest parts of modernity for an experience that has to be seen to be believed. Insider’s tip: Hong Kong has so much more to offer than its urban core. Use the territory’s excellent transit system to get outside the city and into nature. 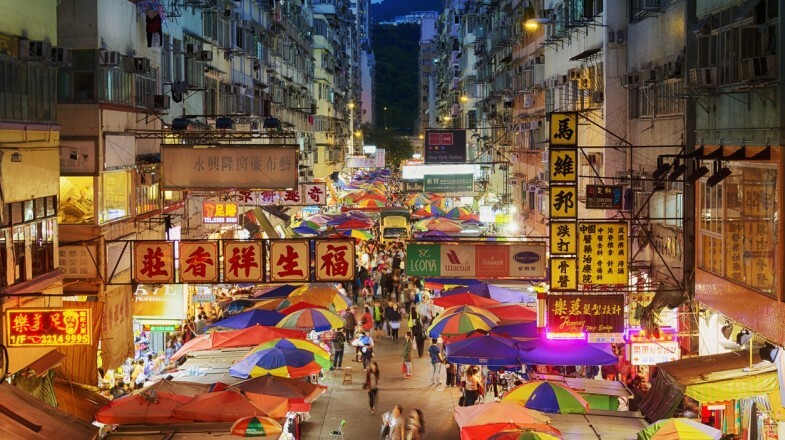 In Hong Kong, you will find traces of Chinese and British culture. The city-state of Singapore is perhaps best known for its cleanliness, making it the perfect place to take a relaxing holiday. 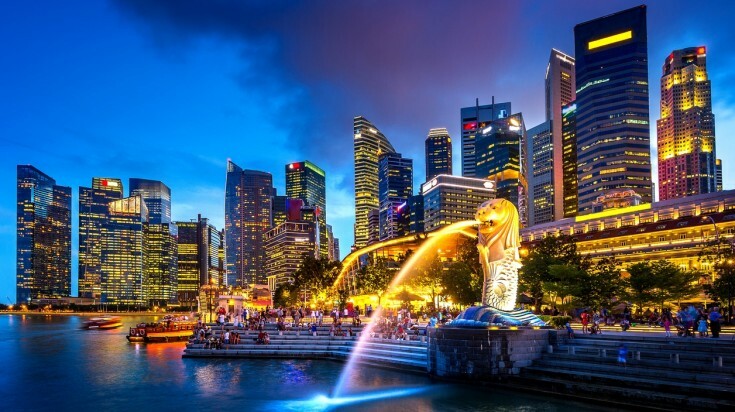 With clean streets and a dedication to preserving its traditions and connections to the world (as can be seen in areas like Chinatown and Little India, along with some distinctly British-Colonial style architecture) Singapore is perfect for the trendy, culture-loving traveller. Be sure to take some time to explore the city’s many green spaces, like the Gardens by the Bay and the Singapore Botanic Gardens. Singapore also has some great shopping, especially on brand-name lined Orchard Road. Insider’s tip: Yes, it’s true - you can’t chew gum in Singapore! The laws in Singapore tend to be quite strict, so be sure to be as respectful as possible during your visit. Singapore is a great destination to visit any time of the year. The second Thai city to make our list of the best places to travel in Asia, Bangkok is a vibrant, beautiful city. While it may not have the beaches of Phuket and its surrounding islands, Bangkok makes up for it with striking monuments (like Wat Arun and Wat Pho), exciting nightlife, and its unique floating market. The city is constantly buzzing with energy and is sure to deliver a little bit of culture shock to even the most experienced of travellers. Get ready for the adventure of a lifetime! 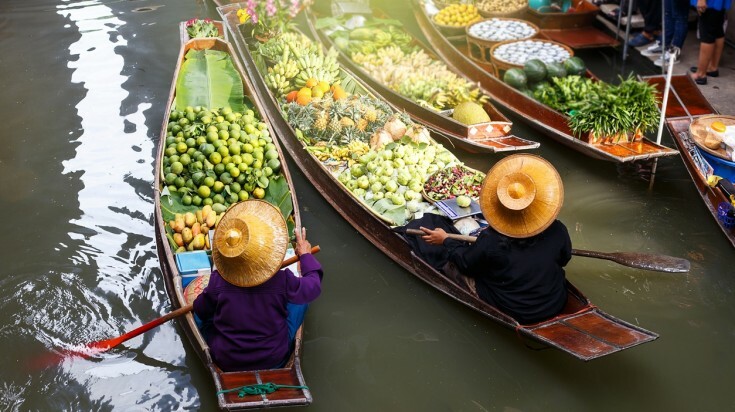 The floating markets in Bangkok are worth a visit. Kandy is one of the largest cities in Sri Lanka, but it is surrounded by vast mountains, giving it a somewhat secluded feeling all the same. It is home to some of the most popular tea plantations in the world, thanks to the biodiversity of its rainforest climate. Kandy is quickly becoming more popular among tourists to Asia, with plenty of attractions to see. 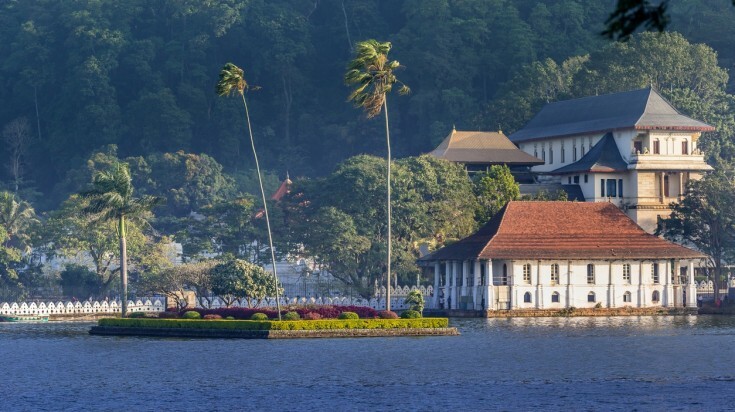 Spend an afternoon exploring the Royal Botanical Gardens before taking a stroll around Kandy Lake. There are also many temples worth visiting, like The Temple of the Tooth (the city’s most popular temple) and Gadaladeniya temple (less crowded). This Temple of the Tooth is believed to house the relic tooth of the Buddha. Cambodia is home to some of the friendliest people in all of Asia, and the people of Siem Reap will invite you into their city with open arms. With booming nightlife, plenty of cultural destinations (museums, markets and more) and the gorgeous tunnels of Angkor Wat, what’s not to love? You’ll also find a complete melange of influences here - everything from French colonial styles to Chinese architecture. 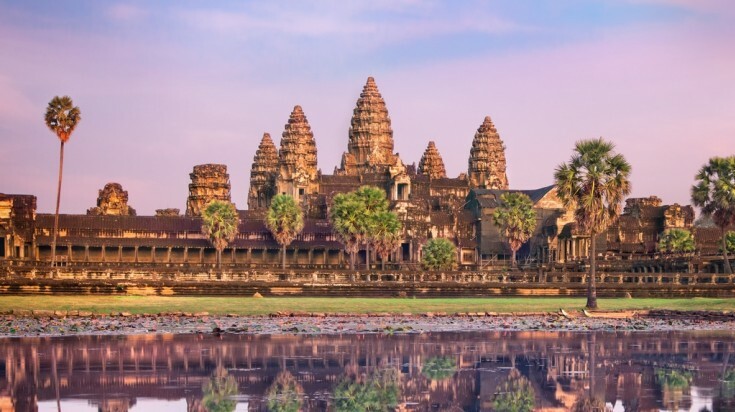 Why go: To stand in awe at the foot of the ruins of the impressive Angkor Wat. Get lost in time at the ancient ruins of Angkor Wat. 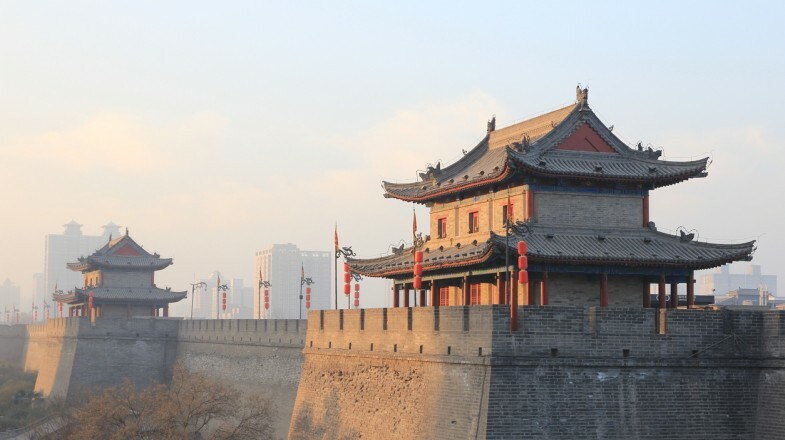 Xi’an was once the grandest city in all of China, and this destination still hangs on to some of that stunning grandeur - enough to make it onto our list. The reason for its being so popular was that Xi’an was once the starting point of the famous Silk Road, it’s history giving it a diverse heritage and culture. Here you’ll find a bustling Muslim Quarter, the Terracotta Warriors, ancient imperial tombs, and even some of the country’s trendiest bars and coffee shops. Insider’s tip: When you buy a train ticket to Xi’an and an entry ticket to see the Terracotta Army, a free shuttle is included from the Xi’an city centre to the attraction - don’t miss out! 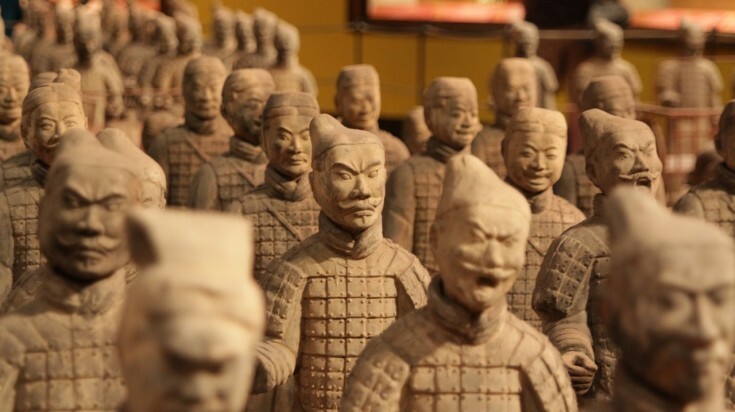 Xi'an, was the starting point of the Silk Road but this city is best known for it's residents, the Terracotta Warriors. Most people who think of visiting Japan immediately think of Tokyo, but Kyoto (same letters, different city!) should also be top of mind. For anyone with a keen interest in Japanese culture, Kyoto should be at the very top of your Asia bucket list. 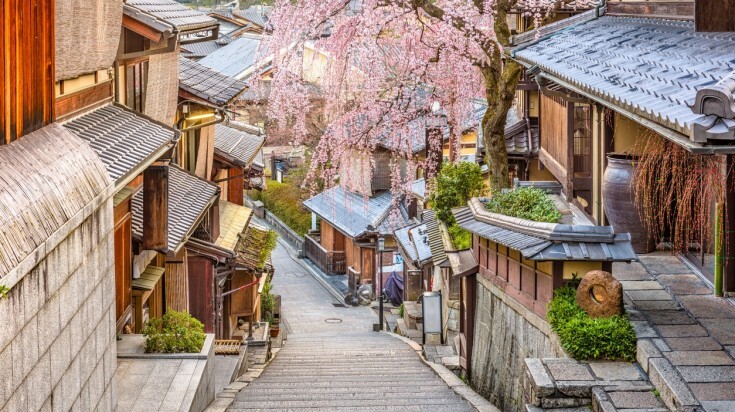 Visiting Kyoto is like diving headfirst into ancient Japan, complete with blooming cherry blossoms (if you visit in the spring), geishas and tea houses. Take a stroll through the city’s ancient rock garden and climb to the top of Shinto shrine before visiting the Kyoto International Manga Museum for a more modern taste of Japanese culture. Visiting Kyoto in Japan is like diving head first into ancient Japan. 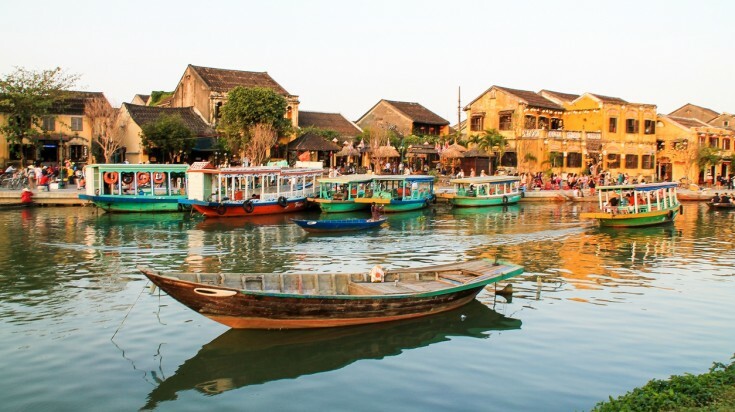 Not many cities in Asia have the charm of Hoi An. The centre of this Vietnamese city is a dedicated national heritage zone where no cars or other motorized vehicles are allowed to pass - meaning it is peaceful, calm and oh-so-charming. At night, you’ll find the streets lit with gorgeous little lanterns, while during the day the people laze around outside the local cafes enjoying a cold drink. You’ll love strolling Hoi An’s quaint little streets, trust us. Insider’s tip: During the full moon every month, the city takes down its electric lights and replaces them with traditional paper lanterns - a beautiful sight to see! This Vietnamese city has a 'No Cars Zone', which makes it a perfect place to take a walk. We’ve all heard of Kathmandu at some point or another, but maybe we’ve never thought about visiting it. Well, now is the time! Kathmandu is home to a whopping seven UNESCO world heritage sites - from the Hindu temples of Pashupati and Changu Narayan to the Buddhist stupas of Swayambhu and Boudha. The Durbar Squares are great locations if you want to interact with the locals - and don’t forget to taste some of the Nepalese dumplings! 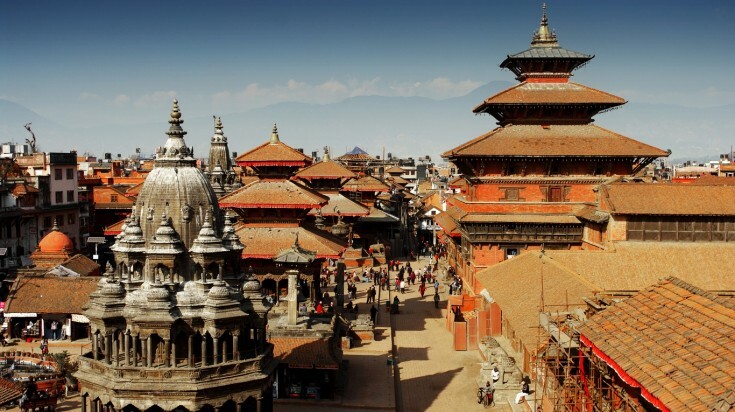 Kathmandu is home to a whopping seven UNESCO world heritage sites. Gyeongju was once the capital of the Silla dynasty which ruled over the area for about 1,000 years, and many historical remnants can be found in the city to this day. If you’re a culture lover, we can guarantee that you’ll be dazzled by the Bulguksa (a historic Buddhist temple with two pagodas) and the Donggung Palace and Wolji Pond (constructed in 674 CE under the rule of King Munmu). This coastal city in South Korea also offers some pretty incredible views of the Sea of Japan! Insider’s tip: Visit at the beginning of spring (early April) if you want to see the city’s gorgeous cherry blossom festival. Stroll around the old temples of Bulguksa in the evening for a spectacular sight. Lhasa is literally translated to the “Place of Gods”, and it won’t take you long to figure out why on a visit to this beautiful Tibetan city. Lhasa is the centre of the Tibetan Buddhist world, with countless temples and monasteries for you to explore. One of it’s most famous landmarks, however, is the Potala Palace - an impressive red and white building that looms over the Holy City. Rugged and unpopulated, this is the perfect destination for some quiet, rural and cultural exploration. 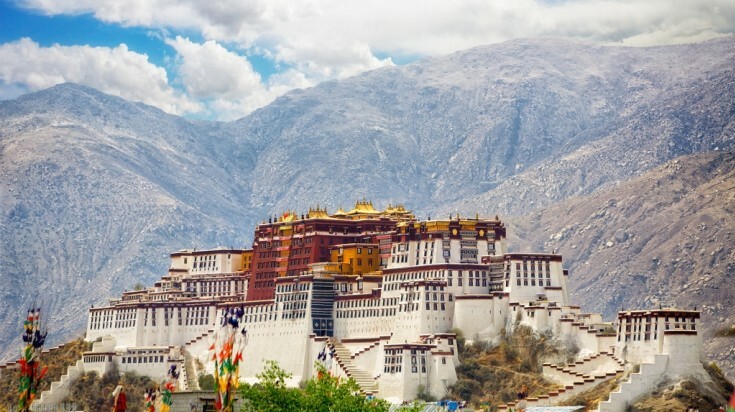 Why go: Lhasa is a very important city in Buddhism, and you’ll love exploring the local culture here. Insider’s tip: Keep in mind that you need an entry permit to enter Tibet. Plan early as securing a permit takes 20 days on average. Lhasa in Tibet is the perfect place for some rugged exploration. 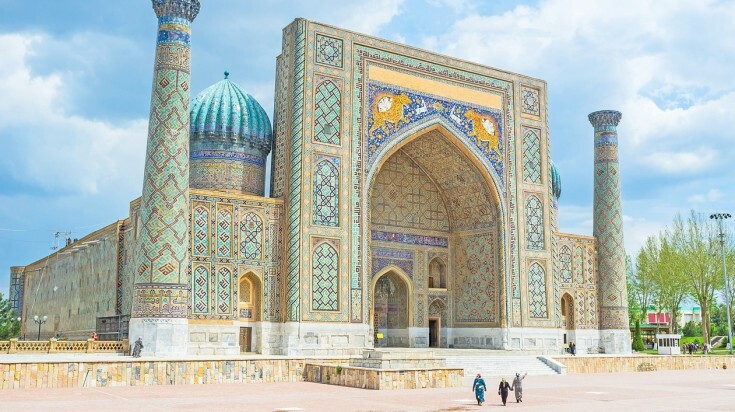 Samarkand is one of the world’s oldest continuously inhabited cities in Central Asia thanks to its location along the Silk Road, an ancient trading route between China and the Mediterranean. This golden-coloured city has maintained much of its opulence from the 15th to 17th centuries, and you’ll be staring up in awe at its many ornate buildings. Some can’t-miss sites include the madrasas in the middle of Registan, the city’s public square, the Gur-e-Amir Mausoleum, and the Bibi-Khanym Mosque. 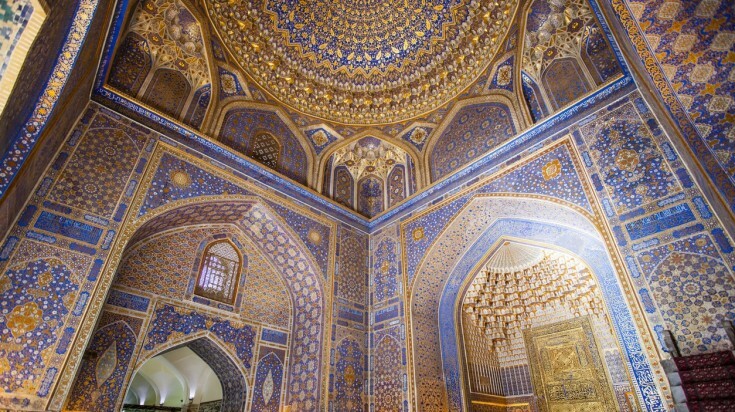 Registan is the heart of the ancient city of Samarkand. Explore the dazzling architecture of the three madrasahs in the town center. About 5,000 Komodo dragons call Komodo Island home. In fact, the entire island is a designated UNESCO World Heritage Site and National Park, established in 1980 to help protect the rare reptiles that live there. 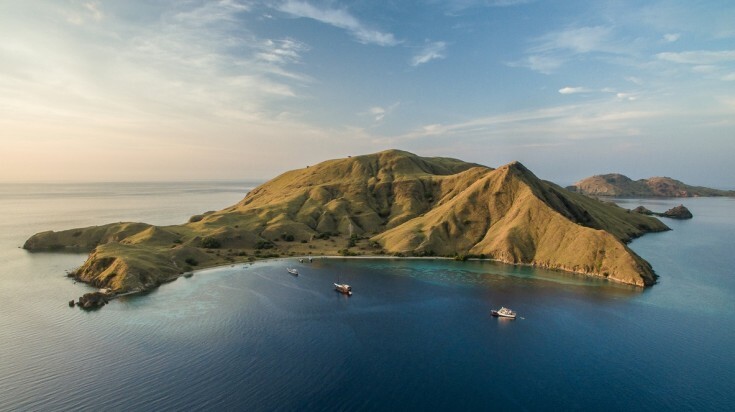 Komodo Island is a perfect short escape from Indonesia’s busier islands, offering beautiful views and some excellent hiking opportunities. Take a day trip over to Padar Island, where you can hike to Padar Lookout for views of the entire National Park. The island is also great for diving and snorkeling, with some 250 species of coral off its coast! Komodo Island is the only island where you can find the Komodo dragon. The Gokyo Lakes are a somewhat unknown region of Nepal but are certainly one of the jewels in the Himalayas’ crown. 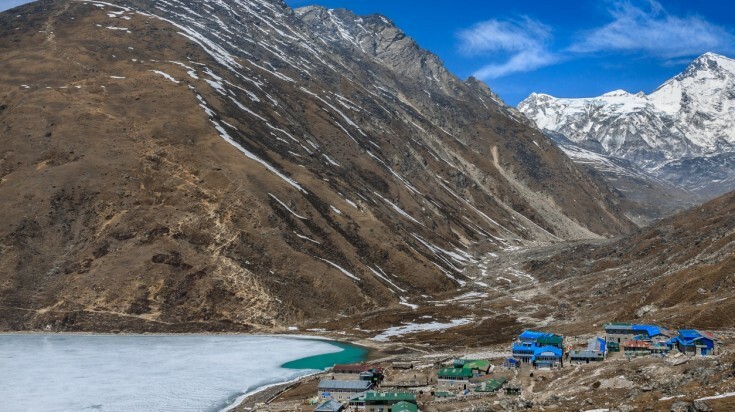 These lakes offer incredible views of Mount Everest in the distance, while the trek to the mountain’s base camp takes you across winding trails through sprawling valleys and traditional villages. This is certainly a strenuous hike - taking at least 16 or 17 days to complete - but an unforgettable one as well! 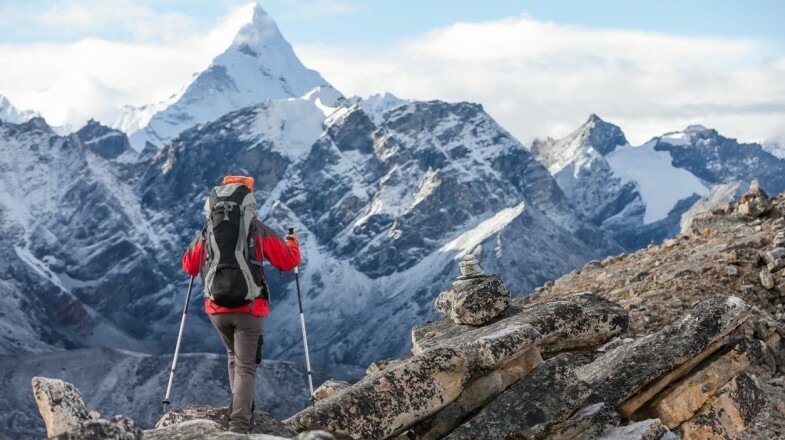 Why go: Hiking even a section of Everest is a once-in-a-lifetime experience! The Dudh Pokhari Lake in Gokyo provides great views of Mount Everest. The Taroko National Park is located on the eastern side of Taiwan, not far from the coast. 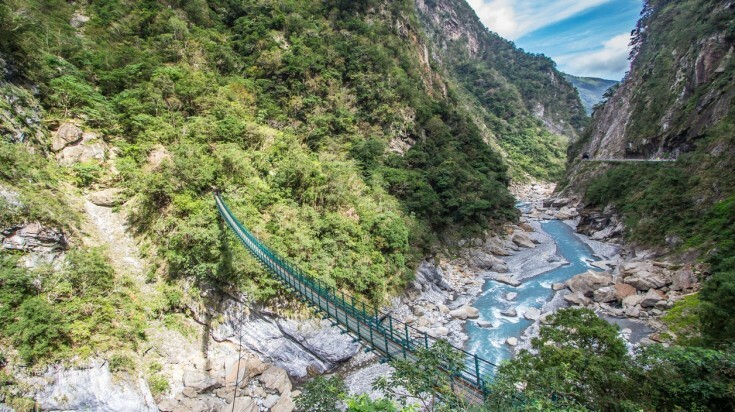 It is mostly visited by travellers who want to see the Taroko Gorge, a 19-km-long canyon that is sure to take your breath away. The park was created in 1986 as a way to protect the gorge. Walking through the park gives you a taste of Taiwan’s diverse and unique landscape: in a single day, you can travel from the park’s rugged coast through a labyrinth of tropical canyons before passing up to the park’s coniferous forests! Insider’s tip: You can still hike through the park if you visit during the rainy season - just be sure to check the forecast beforehand, but rains typically don’t start until late afternoon. The Taroko Gorge is a 19 km long gorge. 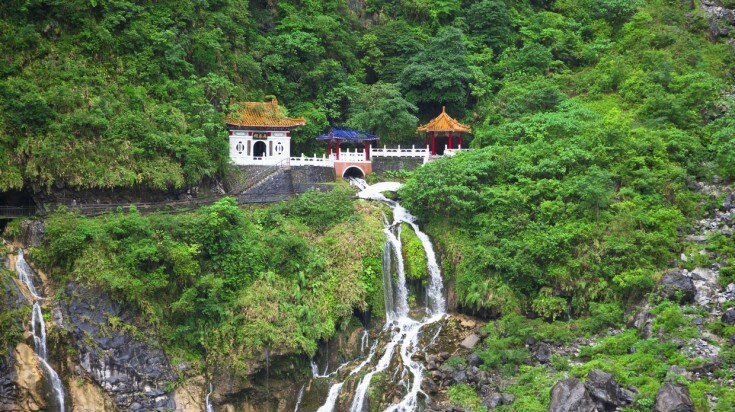 While in Taroko National Park, visit the Changuang Temple. 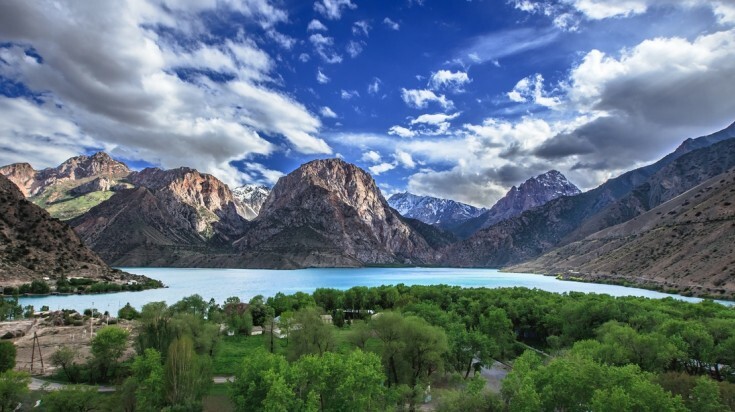 The Fann Mountains stretch along Tajikistan’s Sughd Province as part of the western Pamir-Alay system and they’re set to be one of the biggest tourist destinations in Asia this year. The system has about 100 peaks, some reaching altitudes of more than 5,000 metres! Trekking the Fann Mountains is no easy feat, with trails that have you clinging to the hills above the rushing rapids below. If you’re brave enough for the adventure, though, you’ll be rewarded with some pretty incredible views - from towering mountains to glittering lakes and remote villages. Why go: The Fann Mountains are ideal for discovering true Asian wilderness, with uncrowded, remote trails just waiting to be explored. Trekking the Fann Mountains gives a chance to discover remote villages, great views and glittering lakes. Bhutan is a beautiful mountainous country, nestled at the eastern end of the Himalayas between the Chinese and Indian borders. If Bhutan’s fresh air and vast, peaceful landscapes aren’t enough to convince you that this is one of the best places to travel in Asia, its many cultural sites certainly will. Bhutan is a Buddhist kingdom – the last great one of the Himalayas – and has many temples, monasteries and other religious sites to explore. You’ll also be able to see some stunning snow-capped mountains and rushing rivers in one of the continent’s most dramatic landscapes. Why go: Bhutan is a great place to discover Buddhism, with many gorgeous monasteries scattered around the country. 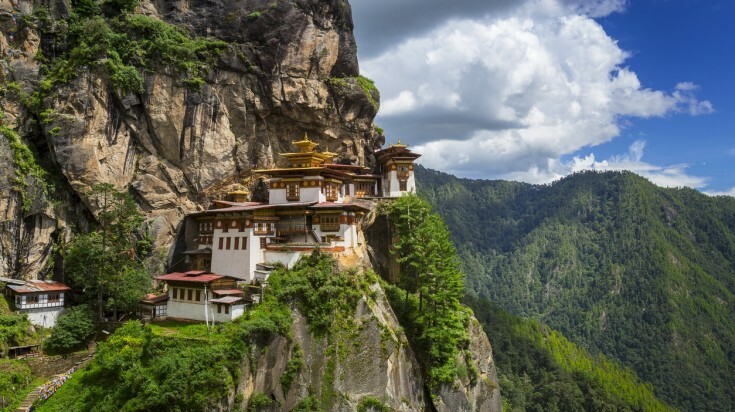 Don’t miss Taktshang Goemba, also known as ‘the Tiger’s Nest Monastery’! Enjoy a visit to the Tiger's Nest monastery in Bhutan. As you can see, there are so many great places to travel in Asia. From the floating markets of Bangkok and the clean streets of Singapore to the architecture of Hoi An and the beaches of Bali - there is a little something for everyone spread across this diverse continent. So make 2019 your year of travel and visit any (or all!) of these destinations in Asia.